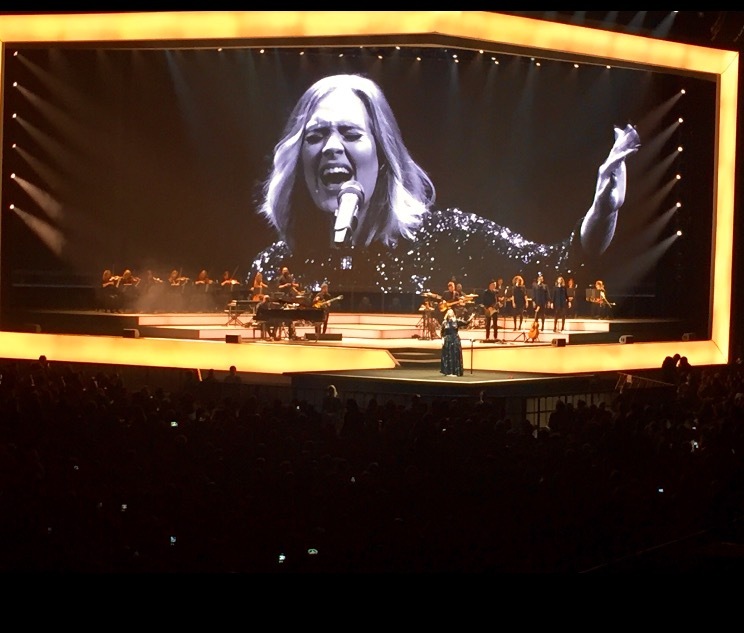 ADELE has admitted she's upset after at least one fan was injured during this moment of her Glasgow show. 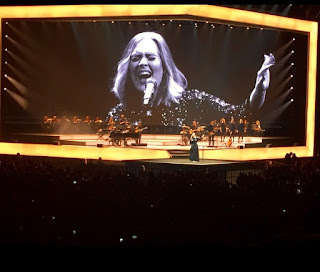 A female fan was accompanied off the premises of the SSE Hydro and rushed to hospital after a chain from a light fitting hit her during Adele's performance of Set Fire To The Rain. She said she feared that Adele and audience members may be electrocuted after witnessing a cable swinging from the ceiling. All I could see was a cable swinging from the ceiling but I wasn't sure if it was a live wire from a light fitting or not. I heard screams and could see people in the audience crouching down on the floor as some ran away from the cable." Vikki added: "My niece who had been taking photos of Adele looked and saw a woman on the floor with blood pouring down her face. She told security and first aid helped to pick her off the floor and take her outside. Her head was like a burst orange. Adele continued singing but she disappeared from the stage straight after the song. The camera man left his equipment there too as everyone was ushered away to safety." It is unknown at this stage if the woman has been kept in hospital overnight. A spokesperson from the SSE Hydro said: "A chain belonging to the production came down and hit one person who was taken to hospital as a precaution. We are liaising with the production crew to ascertain what happened." After hearing about the incident straight after her performance, a shocked Adele said: "I'm so sorry to hear that someone got hurt at my show tonight. It's being investigated to ensure it won't happen again.X"
The star plays the Scots venue again this evening (Saturday).